What is an Hour of Instruction in Missouri? Families for Home Education in Missouri, aka FHE, was created to protect the inalienable right of the parents of Missouri to teach their own children without state regulation or control. FHE has an essential resource book for Missouri home educators titled, First Things First. Below is an excerpt from that book, and the emphasis is mine in regards to unit hours. “This has probably been one of the most debated and talked about topics in the Missouri home school community since the law was passed. This issue has not been decided in a court of law. Over the years, FHE has provided documentation and opinions from educations experts and lawyers in order to provide guidelines for the home school community. However, the bottom line is that the responsibility of accurately recording the hours of instruction lies with the parents. Remember that this documentation is designed to serve as your defense, so it is to your advantage to be cautious in recording hours. Home educators often worry about what constitutes an hour of instruction. The term isn’t defined in the law and is therefore subject to some interpretation. In a formal classroom setting, an hour of instruction is a typical classroom session, a unit of educational instruction or activity. For example, an hour in the typical classroom does not constitute 60 minutes on the clock. In most classrooms, it is between 45-50 minutes. Instruction away from home for field trips, choir practices, private lessons, etc. may certainly be added to your plan book/diary and log. Because of the nature of home education, most of our children receive far more than 1,000 hours of instruction throughout the school year. To be safe, we should document as many of these hours as we can. There are many families homeschooling that interpret this to mean that when you have a curriculum to follow for one school year and your child accomplishes one unit/lesson of this curriculum, that you can count that as 1 unit hour. So if your child is advanced and can accomplish the lesson in 15 minutes that you can count that as 1 unit hour. While there was a time that this was true it is no longer the case. About 10 years ago the interpretation of the law was clarified in the homeschooling legal community. The 1,000 hours of instruction is a literal meaning and all hour requirements must be met to be complaint. So if your child does math for 15 minutes, you can only count that 15 minutes. Now if your child does math for 50-55 minutes it’s perfectly fine to round up to an hour, but only as long as you also round down. So doing math for 35 minutes would be recorded for 30 minutes. This is in regards to elementary and middle school. And don’t get overwhelmed, I’ve found getting my hours is super easy! In high school: “a completed credit towards high school graduation shall be defined as one hundred hours or more of instruction in a course.” You need 16 statutory credits(100 hours each) to not be considered a drop out. But colleges are looking for 22-24 academic credits(completed course, ex: Algebra 1). As my children are not in high school I will not delve farther into that topic today and I would encourage you to become familiar with the state law if you do not live in Missouri. This information is current as of the 2012-2013 school year and was provided by the legal defense attorneys of FHE and HSLDA per LSHE. Here is a sample of a spreadsheet that can be used to track your hours. 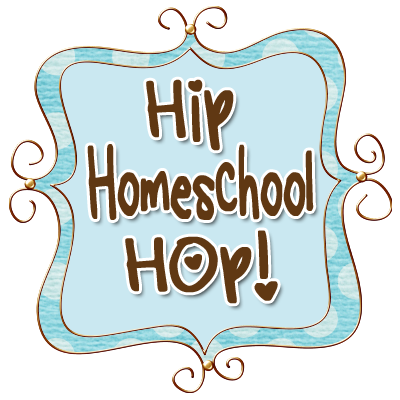 To understand more about hours visit my post on Homeschool Beginnings. My 2012-2013 hours log was a rewards chart. So that when my child accomplishes his goal he gets something special like going miniature golfing or paint-balling, etc. If I needed to produce my hours log to an official I would give them this sheet and NOT my lesson planner. For 2013-2014 I created my own 3 ring planner and put my log sheets in the front. Here is what it looks like for each child. This entry was posted in Classical Education, Homeschool 101 by bleeglaser. Bookmark the permalink. Just curious, do you (or most homeschoolers) take the summers off and follow public school schedule or do you school more year-round with more frequent, smaller breaks like some school districts in other states? Either way, do you feel that what you do works better for you, the children or both? It depends on the family. I know some people that school year round and others that school more like the public school system. We don’t set such a rigid year in our family. Our goal is to school 30-34 weeks this year. We will take holiday and vacation breaks during that time so it’s not a continuous 30 weeks. We are going to CA for two weeks in November, then after that a few days for Thanksgiving break, and two weeks off for Christmas. After doing some math: 1000/4 (hours of schooling per day) = 250 (days of schooling). 365 (days a year) – 250 (days of schooling) = 115 (days not schooling) – 104 (weekend days) = 11 (vacation/holidays) = you would be teaching year-round. 1000/5 (hours of schooling per day) = 200 (days of schooling). 365 (days a year) – 250 (days of schooling) = 165 (days not schooling) – 104 (weekend days) = 61 (vacation/holidays) = summers off like local public schools. Do you following something like one of these to pre-determine about how much schooling you need to do in one day to meet the requirement and then divide that number of hours by the number of subjects taught? If so, would you teach the same subjects each day, spending up to a half hour on each subject or do you alternate subjects by day and teach for an hour? And then if you have more than one child and in different grades do you teach one for a few minutes, leave him/her to do some “homework” and go teach another child? Such that each child spends 1000 doing coursework each year, but the parents aren’t doing 1000 hours * number of children = xxxx number of hours teaching? That could become impossible. How do you count field trips? Based on the event do you divide the hours among subjects? Or do they count at all? The same for sports and music? Do they count or are the considered extra-curricular? Trying to figure out the logistics. Our goals are 18 hours of core with mom, 2 hours of core away from mom, and 13 hours of non-core each week. Each day we do religion, math, language arts, history & literature OR science, art OR music history, and piano. I teach religion to my children in a group and that 30 minutes counts for 30 minutes in each of their log books under non-core. I teach history to my children in a group and that 30 minutes counts for 30 minutes in each of their log books under core at home(with mom). Both my boys do math at the same time, and although they are on different curriculum I am able to help them both and that 30 minutes counts in each of their log books for core with mom. When my oldest son is reading fluently on his own he will be able to sit down and do his history/math/science/literature lessons with much less of my involvement so that I can focus on teaching my non-readers. Just because I’m not reading to him doesn’t mean that I’m not instructing him. I prepare the lesson, he reads the material, does any worksheets, and finishes a unit with a test. Field trips absolutely count! You don’t have to define your field trips as science or history specifically, you just have to say core or non-core. For example this last weekend we went to the chalk walk at Crown Center and I recorded that hour as non-core art. Sports and music are also non-core but they do count toward the 1000 hours. The 1000 hours is broken into 600 core and 400 non-core. Please read my blog post that explains the hours in more detail here.